Donald Trump’s ban on communication from federal workers isn’t unprecedented. On Tuesday, President Donald Trump signed an executive order banning federal workers in many scientific agencies from any external communication, even with congress (a gag order placed on the Department of Agriculture was reportedly rescinded after public outcry). And on Wednesday, his administration reportedly ordered that all "EPA scientific studies, data undergo review by political staff before public release." This censuring of scientists is not unprecedented, in fact, he's not even the first leader in North America to engage in this sort of behaviour. 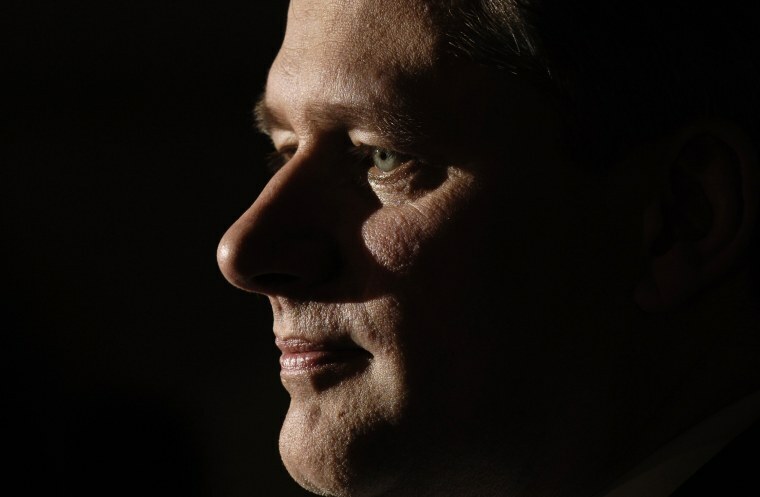 Stephen Harper, former Prime Minister of Canada, introduced strict new guidelines in 2006 preventing scientists from talking freely about their research with the press. Federally employed workers who did so on any issue risked their jobs. A leaked internal memo revealed an 80% drop in media engagement as a result of the new policies. In 2014, 800 scientists from 32 countries outside of Canada signed an open letter to Harper calling for an end to "burdensome restrictions on scientific communication and collaboration faced by Canadian government scientists." As a resistance to Trump's executive orders grows, reflection on Canada's history may provide a window into what the future may hold. Any information shared with the public, no matter how small, had to be approved by top brass. This makes the quality of scientific progress drop significantly. Steve Campana was a biologist at Fisheries and Oceans Canada, until he retired in 2015 and began speaking out against the Canadian government's stifling of science. In an interview with the CBC, he called the working atmosphere "toxic" and said that the government's policies would lead to a "a death spiral for government science." As AcademicMatters.ca points out, cutting off communications between Canada's scientists and the public they serve was part of the Harper government's agenda of reducing the stream of evidence connecting human activity to global warming. "[T]he Harper Government... also constrained or eliminated several high-profile research labs, scientific institutions, and other data-gathering organizations. The effect of these closures is that the very building block of science—evidence—is cut off at its roots." There are signs that a Trump administration will take an axe to science funding: in November 2016, senior Trump campaign adviser Bob Walker said that the President would make severe cuts to so-called "politicized science," specifically climate change research conducted by NASA. ...as well as the quality of public information. Scientists weren't allowed to speak about anything, not just politically contentious findings. Campana believed that the Canadian government, which at the time was investing the country's economic future in oil, certainly did stop scientists from releasing data on man's contribution to global warming. However, he also believed that Harper's muzzling was punitive: they stopped scientists from talking about anything, just because they could. "It seems to be simply a control issue," he told the CBC. "You could sort of understand the rationale if you were potentially talking about a controversial subject and whoever is in government quite rightly has the right to make sure there are no critical statements about policy. But when you go to the extent of silencing just talking about facts, that just doesn't make any sense." The moral of the country's scientific community was severely weakened. In 2015, The Globe and Mail spoke to three scientists who were prevented from speaking about their research. Dr. Philippe Thomas, a wildlife biologist with Environment Canada, remembered when his written responses to interviews were edited by "several communications specialists." His answers were never shared with the public. The government tried their hardest to discourage journalists. "Calling a meteorologist to find out about weather watches or warnings isn’t a problem. They are usually ready and willing to answer questions. The problem arises when you try to contact a federal scientist directly. First you need to contact the media line. And then it can take hours or even days to get a response. And when you do get a response, more often than not, a spokesperson emails you an answer that isn’t useful or they are unavailable." In 2014, The Canadian Press's Dene Moore filed a request with Environment Canada to speak with Dr. Max Bothwell about "rock snot," an invasive algae species. After 110 pages of emails to and communications with 16 different federal government communications operatives, the interview was declined.